As market participants learn of the fate and casualties surrounding some of the industry’s biggest names in FX, other players such as CMC Markets have indeed survived the dilemma despite marginal losses. As the details emerge from each broker, it is becoming much clearer which companies were better prepared for such an event, with Alpari UK, FXCM and IG Group being the hardest hit. Conversely, OANDA, LMAX Exchange, IC Markets, Darwinex, Pepperstone and ADS Securities have all passed with flying colors, calming investors’ nerves with statements of “business as usual”. CMC Markets joins this growing list of firms that will live to fight another day. Forex Magnates observed back in November that the group was particularly robust, fueled by mounting client applications to the tune of 30%. According to Peter Cruddas, Chief Executive, CMC Markets, in a recent statement on the market wide upheaval, “Yesterday’s unprecedented move by the Swiss National Bank created a large amount of volatility in the Swiss franc and Foreign Exchange markets. 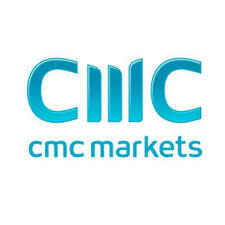 Like many of our competitors, CMC Markets sustained some losses, however, the overall impact including possible bad debts has not materially impacted the Group. The Group’s balance sheet post these events remains strong, with a regulatory capital ratio of 24% (300% pre CRD IV) and own funds in excess of £130m. In addition to CMC Markets, City Index also appears to have avoided disaster. According to a recent statement released from City Index, “It has come to our attention that a number of retail brokerages have announced that this has resulted in them experiencing acute financial pressure.